A final wrap up image of my last commissions. These were a lot of fun and were for a return customer which makes it all the better. My favorite part of working with people a second time is that they get more comfortable sharing their opinions. 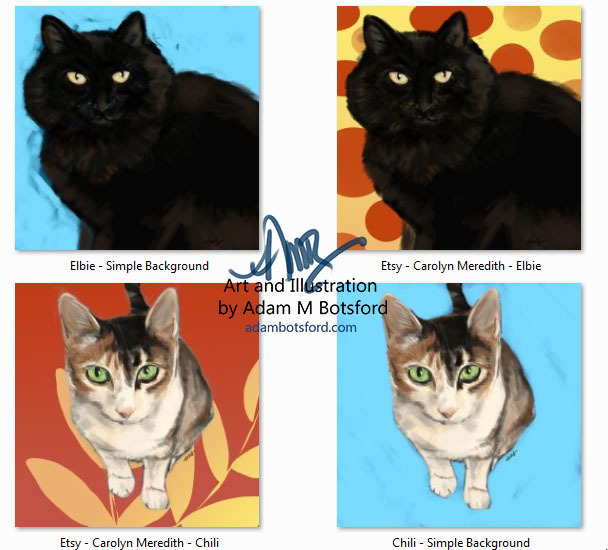 A good portrait pet portrait requires a good sense of how their owner views them. Unless I met them myself, I wouldn't know how to rely their emotions. Now, I do believe a large portion of who we are comes through in pictures (especially with animals) but I love the stories people share.